"We all have challenges in life. The challenges of those who live in relative prosperity are different from those who live in more humble circumstances. But we can all be committed, and this commitment must lead to action. Whether we find ourselves walking eight hours and fording streams in Sunday clothes to attend a priesthood meeting, or putting aside a lifelong goal in order to serve a mission, the Lord sees and blesses those who act on their devotion to him. "In James 2:14-26, we learn that in order to prove our faith, we must act on it. 'If a brother or sister be naked, and destitute of daily food, And one of you say unto them, Depart in peace, be ye warmed and filled; notwithstanding ye give them not those things which are needful to the body; what doth it profit? Even so faith, if it hath not works, is dead, being alone' (James 2:15-17). "When the time comes for you to sacrifice for that which you believe, will you have the faith to make that sacrifice? 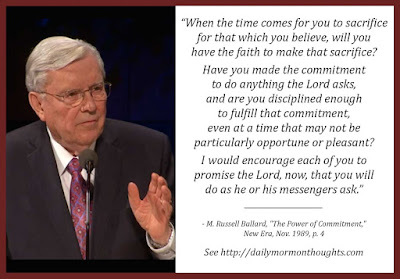 Have you made the commitment to do anything the Lord asks, and are you disciplined enough to fulfill that commitment, even at a time that may not be particularly opportune or pleasant? I would encourage each of you to promise the Lord, now, that you will do as he or his messengers ask. The sacrifice may be great; the sacrifice may be small. But may you all have the strength and integrity to act on your faith, so that you may one day appear before the Lord blameless, knowing that you did everything in your power to prove your commitment." Everyone has challenges. Everyone! At times we may have difficulty believing that; some people seem to have such perfect, untroubled lives. But Elder Ballard teaches that challenges come in all different forms, and we must all test our commitment to God in order to receive His help and blessings. What is the depth of our commitment to Him? Are we prepared "to do anything the Lord asks"? 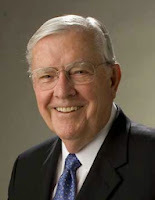 Elder Ballard's challenge to us is profound. We must promise God to do whatever He, or His messengers, ask of us. 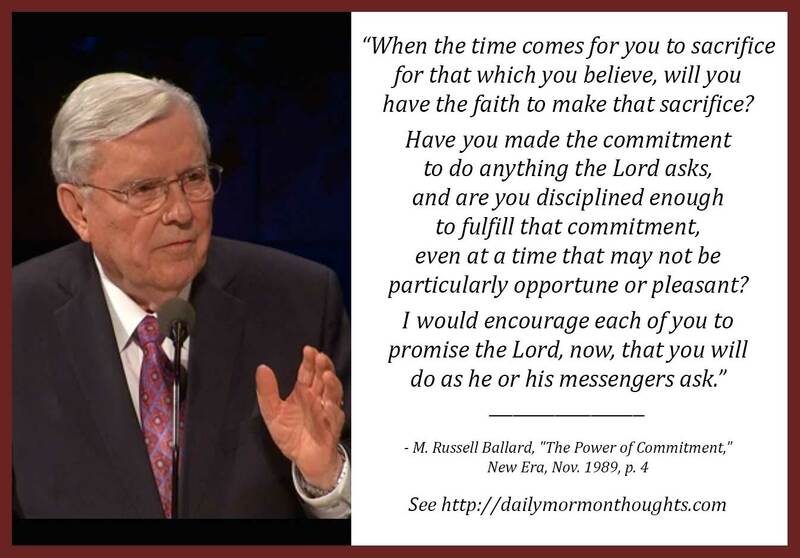 And then be "disciplined enough to fulfill that commitment."